The elongated history of Killing Joke reads like something more akin to a fictional saga than band biography. Formed over 30 years ago in the midst of punk rock's decline and subsequent eclectic branching out, it's a story of constant line-up changes, accusations of being neo-nazis, the odd propensity for violence and of course the obligatory drug abuse, culminating in an unhealthy obsession with Aleister Crowley and eventual hiatus resulting in band members defecting at random, probably for the sake of their own sanity more than anything else. Its also not without the odd moment of tragedy, and the 2007 death of bassist Paul Raven, an on and off member of the band since 1982, brought the original line-up back in a room together for the first time in a quarter of a century at his funeral. While not exactly the most appropriate place to pitch ideas for a reunion - let's not forget Raven wasn't even involved in what is considered by many to be the 'classic' Killing Joke line-up - the conversations and recriminations emerging from this gathering appeared to stir an embellished spate of ferocity, as anyone fortunate enough to witness last year's vs The Fans show at the All Tomorrow's Parties festival will testify to. Indeed, putting all the personal traumas to one side, it would be fair to say Killing Joke were one of the most pivotal and influential bands of the whole post-punk era. Nevertheless, its always a brave intention for a band to reform, particularly after so long apart, as very few come anywhere close to recapturing their former glories. In fact, many would argue that even during their lifetime, Killing Joke themselves struggled to repeat the halcyon days of their first three albums, despite many years and experimental diversions in pursuit of trying. Once again, it's to their credit that here, rather than reminisce about the past in the hope of some second coming of 'Psyche' or whatever, they've defied all expectations and created arguably their most definitive, and overtly complex body of work in decades. 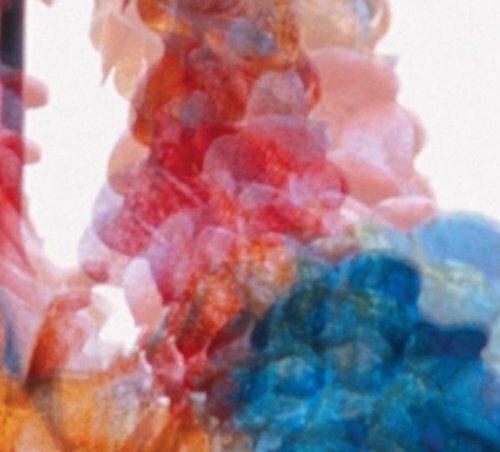 Having initially started work on Absolute Dissent at the tail end of 2009 - true to form, recordings, sessions and their comeback tour were all scrapped at various points during the making, 'artistic differences' rising to the fore once more - it's undoubtedly the unnerving tension and perpetual antagonism that's partly responsible for a record many thought this time last year was little more than a romantic pipe dream. All the key elements of Killing Joke mk.I remain intact; Jaz Coleman's infectious growl, Geordie Walker's signature guitar reverberations, Youth's dub-tinged basslines and the pounding brutality of Paul Ferguson behind the drumkit. Its an essential mix that belies the fact they've not worked together in nigh on 28 years. 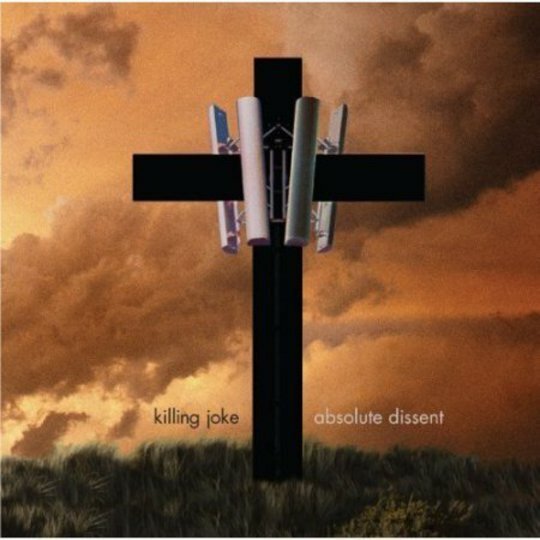 From the opening riff of the introductory six-minute long title track, Absolute Dissent is a relentless assault that hints at Killing Joke's past - the driving bassline and Coleman's low-in-the-mix vocals aren't too dissimilar to 'The Wait' here - but suggests an altogether heavier approach. Maybe it's not a million miles away from 2006's Hosannas From The Basements Of Hell, but certainly it's a damn sight more focused. 'The Great Cull' and 'Endgame' both resonate with a rawness and intensity more befitting of a band half their age, yet such is their tenacity in striving for perfection Absolute Dissent rarely falls short of the mark. When it does, on the clumsy Nirvana-like thrash of 'This World Hell' (payback for Cobain's pilfering of 'Eighties' perhaps?) or the indiscriminate and largely forgettable 'Depthcharge', such minor defects are forgiven when placed in such hallowed company. 'Honour The Fire' even borrows its introduction from Mew's 'Am I Wry, No? ', compounded by the unmistakable rhythm section and Coleman's distinctive vocal, while the anthemic 'In Excelsis' even makes a late surge for the stadium scale Killing Joke briefly flirted with around the time of 1985's Night Time. The tribute to their departed friend and bass player 'The Raven King' proves fitting without resorting to schmaltz - not that one would expect Killing Joke to be capable of such a misdemeanour - while the industrial electronic shockwave of lead single 'European Super State' sounds like Violator-period Depeche Mode had they recorded it on a building site. The atmospheric 'Ghosts On Ladbroke Grove', a dub heavy offspring of the band's seminal 'Turn To Red' single from 1979 and incendiary guitar crescendo of 'Fresh Fever From The Skies' only add more fuel to Killing Joke's seemingly never ending fire. Absolute Dissent is a remarkable achievement for a band whose creative zenith appeared to have been locked in the annals many moons ago. Whether any kind of follow-up emerges remains to be seen, but if this is the last time Killing Joke embark on a recording project together, they couldn't have concocted a more fitting finale.